Justin Timberlake Archive - TROLLS HOLIDAY SPECIAL ARRIVES FRIDAY, NOV. 24! You are here: Home / News / TROLLS HOLIDAY SPECIAL ARRIVES FRIDAY, NOV. 24! “DreamWorks Trolls Holiday,” a half-hour animated musical special that features the A-list talent involved in the highly successful film franchise that launched last November, is set to premiere Friday, Nov. 24 at 8:30 p.m. ET/PT on NBC and will also be available on Netflix beginning Dec. 6. 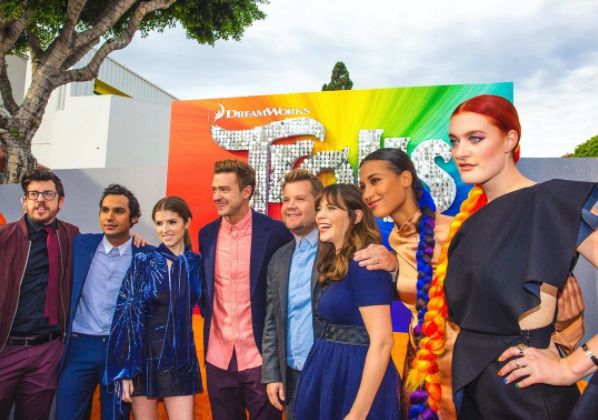 “DreamWorks Trolls Holiday” marks the return of Anna Kendrick as the voice of Poppy, Justin Timberlake as Branch and Zooey Deschanel as Bridget. The toe-tapping musical special centers on the eternally optimistic Poppy, queen of the Trolls, who learns that the Bergens no longer have any holidays on their calendar. She enlists the help of Branch and the Snack Pack on a mission to fix something that the Bergens don’t think is broken. Alongside the holiday special, DreamWorks/RCA Records will release the soundtrack, titled “Trolls Holiday,” globally on Oct. 27. The seven-track album will feature musical performances from Poppy, Branch and the rest of the cast that appear in the television special. http://helipoker.com situs yang menyediakan berbagai permainan kartu dari bandarq domino 99 atau qiu qiu sakong capsa susun poker dan masih banyak lainnya lagi, silahkan kunjungi situs nya langsung dan raih kemenangan besar bersama.